Alexis Sanchez and Olivier Giroud scored the goals as Arsenal moved into fifth place with their first Premier League victory at Southampton since 2003. Southampton had the better of the opening half and Manolo Gabbiadini and Nathan Redmond forced Petr Cech into good saves. However, Arsenal took the lead on the hour mark, Mesut Ozil playing in Sanchez, who took two players out of the game with a sublime turn before claiming his 20th PL goal of the campaign. 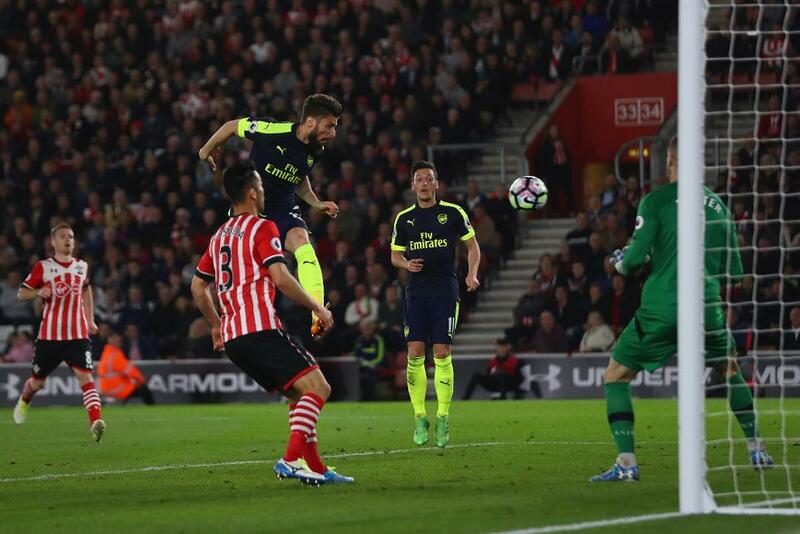 Substitute Giroud doubled Arsenal's lead seven minutes from time with a close-range header as Aaron Ramsey headed Sanchez's cross back across goal. Arsenal are now three points behind fourth-placed Manchester City with three matches left to play, while Saints drop to 10th after going four matches without victory.